Rev. Frederick Roy Smith passed away at his home in Waterville on Friday, December 1, 2017. He was born January 20, 1932 in Wilmot, NB, and was the son of the late Roy and Marion (Page) Smith. Besides his parents, he was predeceased by his wife, Margaret (Cohoon) Smith in 2015, and two brothers-in-law, Don Reeve and Stephen Haywood. Fred is survived by his children; Kevin (Deborah) Smith of Fredericton, NB, Karen (Allen) Prosser of Fort Kent, ME, David (Angela) Smith of Rock Hill, SC, Debbie (Roger) Kierstead of Fredericton, NB, Daniel (Heather) Smith of Holden, ME; 21 grandchildren, Joshua (Kari-Leigh) Smith, Chrissy (Dave) Vance, Jesse Smith, Jacob (Katrina) Smith, Alysa Smith, Nicole Smith, Anna (Caleb) McGuire, Sarah Kierstead, Rachel Kierstead, Abigail Kierstead, Rebekah Kierstead, Esther Kierstead, Danielle Kierstead, Caleb Smith, Grace Smith, Miriam Smith, Naomi Smith, Priscilla Smith, Isaac Smith, Sophia Smith, Samuel Smith; 7 great-grandchildren, Parker Smith, Beckett Smith, Jesse Vance, Janna Vance, Robyn Vance, Asher Vance, Grace McGuire; special children, Tim Smith, April Orser, Siew Lan Mulligan, Sandy Macumber, Tong Chen, Franklyn Chen, Ruth Goutal; sisters, Shirley Reeve-Haywood, Connie (Chris) Lyons; brothers, Donald Smith, Murray (Donna) Smith; numerous nieces, nephews, and cousins. Fred came to Christ at 12 years of age as He realized his need for a Saviour. As a teenager He felt that God had called him to full-time pastoral ministry. He eventually met and married Margie Cohoon and acquired his M.Div at Gordon-Conwell Theological Seminary in Beverly Massachusetts. They shared 60 rich years together before Marg passed away very suddenly. 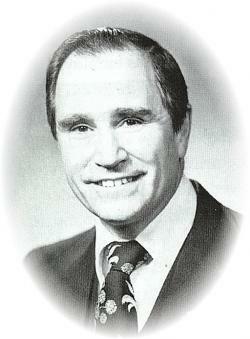 “Pastor Fred” was involved in ministry for over 60 years. From 1956 to 1993 he held full-time pastorates in NB in Grand Falls-Ortonville and Lewisville, then Lynn Massachusetts and finally Fredericton, NB. 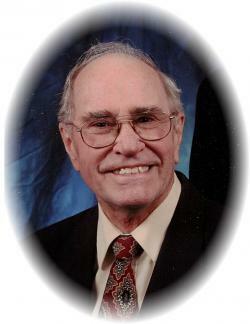 During these years he was highly involved in youth, radio, and evangelistic ministries. He had a passion for preaching God’s word and calling people to repentance and faith in Christ and was unashamed to share the gospel with the people God brought across his path. In his final seven years of ministry in Fredericton, he enjoyed serving as Chaplain for the Fredericton City Council meetings and in 1993 functioned as President of the Convention of Atlantic Baptist Churches. In semi-retirement, he assumed interim pastor roles in New Brunswick in Victoria Corner, Waterville, Knowlesville, Florenceville, Upper Brighton and also in Caribou, Maine. He was naturally athletic and musical but even though he slowed down in his later years, he took great joy in playing the organ alongside the pianist at the Upper Brighton Freewill Baptist Church, even in the close of his 86th year. Fred’s greatest attributes were his genuine love for people and his servant heart. Even though he invested much time in the lives of others outside his family, he was fully committed to his family and leading by example, demonstrated what a loving husband and father should be. He was also much beloved son, sibling, cousin and uncle. He took great interest in his own ever-enlarging family of grandchildren and great-grandchildren and sincerely enjoyed spending as much time as he could with each and every one of his children and their spouses. Fred had a gift for encouraging people. He came alongside a number of those training in ministry as a support and mentor. He also opened his heart to special “adopted” sons and daughters. He had an engaging sense of humour and chose to focus on the positive aspects of life’s challenges. He dearly missed the love of his life, Margie, and had a great longing for Heaven. God was so good to usher Him into glory peacefully “falling asleep” in his favourite reclining chair. “Well, done thou good and faithful servant. Enter into thy rest.” Surely those were words he heard a few short days ago. He was one loved man and revealed what God, the Heavenly Father’s love is like, for us. He will be greatly missed.